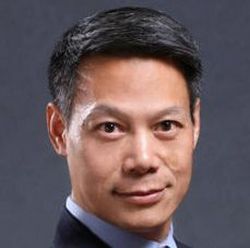 Beijing-based Brian Yang is a senior writer in charge of overall China coverage within the APAC Pharma news team. A veteran journalist, he has written extensively on pharmaceutical R&D, regulatory affairs and market access for PharmAsia News. Brian’s intimate industry knowledge and in-depth analysis has won wide praise and helped secure exclusive interviews with top biopharma executives. He has led a team of writers to provide industry-leading coverage on key issues such as multi-regional clinical trials, priority reviews and go-to-market strategies in a highly-dynamic and fast-changing market, with the on-the-ground coverage consistently ranked among the top-read in PharmAsia News. Prior to joining Informa, Brian worked as a foreign affairs correspondent for two TV networks and web editor for an international radio station. Trilingual in Mandarin Chinese, English and Japanese, he obtained his BA degree from China and an MA degree from Japan. The coming of spring has seen the announcement of multiple executive moves in the Asia Pacific region, including a new CEO at Japan's Daiichi Sankyo, while WuXi Apptec and llumina have also made new appointments. Other personnel changes also take place at Shionogi Healthcare and the top of Japan's main regulatory agency. Celltrion and iProgen will co-develop ADC candidates, Miracogen and Synaffix sign a technology license after a successful research collaboration, and WuXi will provide clinical trial material to NBE Therapeutics. New draft guidelines could potentially create parallel clinical pathways for cell and gene therapies in China, and industry executives are worried about different standards for such emerging treatments in a country with the highest number of ongoing cell therapy trials in the world. Half of the newly selected imported drugs slated for fast track review in China are rare disease treatments, followed by antiviral drugs for influenza and HIV, reflecting key medical needs in the country. By avoiding crowded space and focusing instead on therapeutic areas with large potential, China remains attractive for drug developers, notes a recent white paper from investment bank China E-Capital. Another busy time for executive moves in the Asia Pacific region, as Amgen China GM joins Henlius, BeiGene appoints new immuno-oncology CMO and Sumitomo Dainippon names a new digital health head. Changes also take place at Ascentage, Harbin Pharma and AdvaMed.